"Despite its perky leads and beautiful special effects, Passengers feels like a really expensive misstep." Passengers, directed by The Imitation Game’s Morten Tyldum is an unusual concept and it is definitely marketed that way, but while watching it, it is not as innovative as it thinks it is. Although it does have some elements in its script that audiences have not seen before, Passengers still finds a way to be formulaic. Jim Sheridan and Aurora Lane are two of 5,000 passengers on spaceship en route to a planet called Homestead II, where over 5,000 people have paid generous money to start a new life. Since it is in another galaxy, the trip will take 120 years, and the future inhabitants will be asleep in hibernation pods during the voyage. Jim (Chris Pratt) awakens to an empty ship and soon discovers that he has accidentally woken up 90 years too early. After years of living in solitude, only accompanied by android bartender and confidante Arthur (Michael Sheen), Jim discovers Aurora sleeping peacefully in her pod and becomes taken with her. After a series of controversial events, Aurora (yes, like Sleeping Beauty) wakes up as well. Unsurprisingly, Jim and Aurora fall in love and until obstacles and eventually eminent danger presents itself and threatens to prevent Jim and Aurora from living happily ever after. 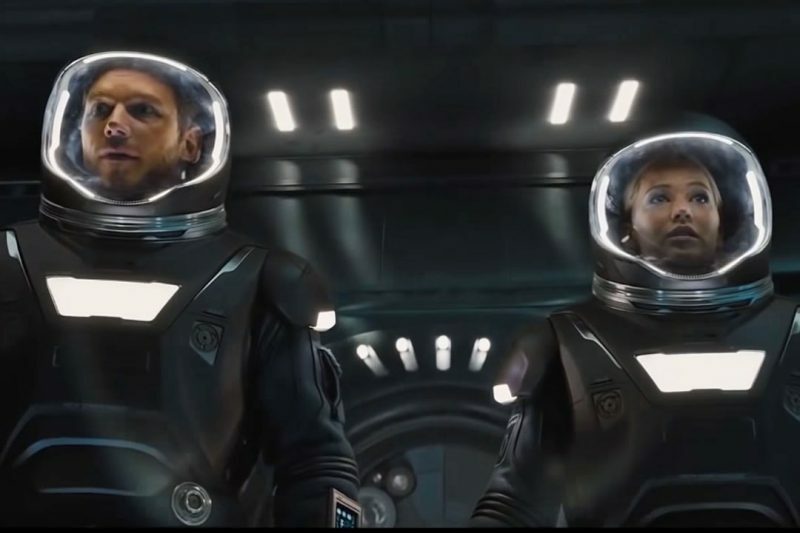 Passengers was originally a spec script written by writer Jon Spaihts called "Shadow 19", about a soldier sent on a suicide mission to a nightmare planet: Warner Bros. bought the script and Keanu Reeves was attached to star. After that movie could not get off the ground, Spaiths changed a few ideas and pitched a story about a man who wakes up from a long sleep too early. Reeves and Hamel loved the idea and Spaihts wrote a draft and immediately sold it to Company Films. The script was placed on the 2007 Black List, an annual list of Hollywood’s best unproduced screenplays. 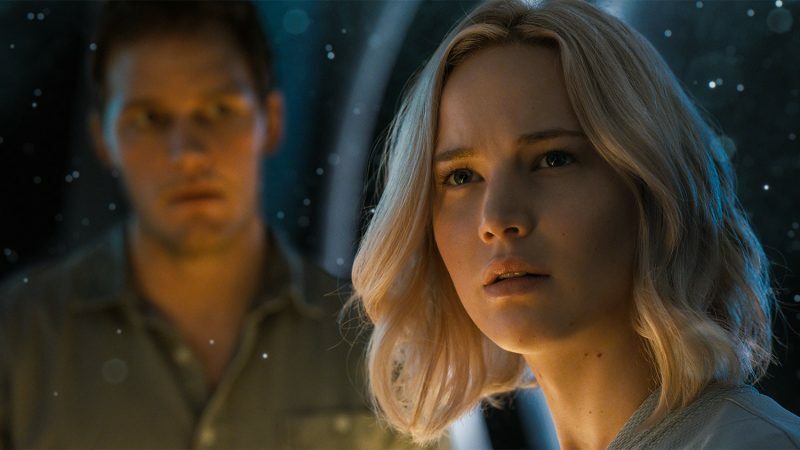 Even after surviving that initial development hell, Passengers’ tone still feels really uneven upon viewing, and its’s probably because it is not super believable as a love story or as an action film. But for some reason it tries to be both. Jim is in isolation for the first forty-five minutes of this movie, and although Chris Pratt is a likable lead, the movie glosses over the pain that he would have to endure for a year. Not only being on a spaceship by himself, but also knowing that there’s no way anyone can come rescue him. For example, if you compare it to a movie like Cast Away, Tom Hanks did not know he was going to get off the island either, but there was a chance. Ships may pass by, airplanes may fly over, it was a very slight chance but there was a chance. His hope and quest to stay alive made sense in the context of the situation. With Sheridan, he’s in space. Going farther away from Earth that anyone that we’ve seen in recent movie history. Yes, jokes are funny. But after that, a deep reality needs to set in and I never really felt that from Pratt’s character. Jennifer Lawrence is also not in this movie as much as you think she is. Yes, she does give a good performance and is an integral part of the story, but this is Pratt’s movie and unless the audience can feel a sense of urgency from his character in the beginning that set the tone for the rest of the film, it does come off as unintentionally lighthearted. Passengers is not a bad film, it is an entertaining film, thanks in part to its two likable leads. Sadly, that is probably why they were hired, to be likable and sell this movie. I would have liked to have seen the film take a darker turn, with less comedy and more awareness of the situation at hand. Passengers could have been a great film, but thanks to too many hands in the pot, it turns out to be a really expensive wrong turn.